Spoiler alert: the only real place to do this ethically is in some type of volunteer program. 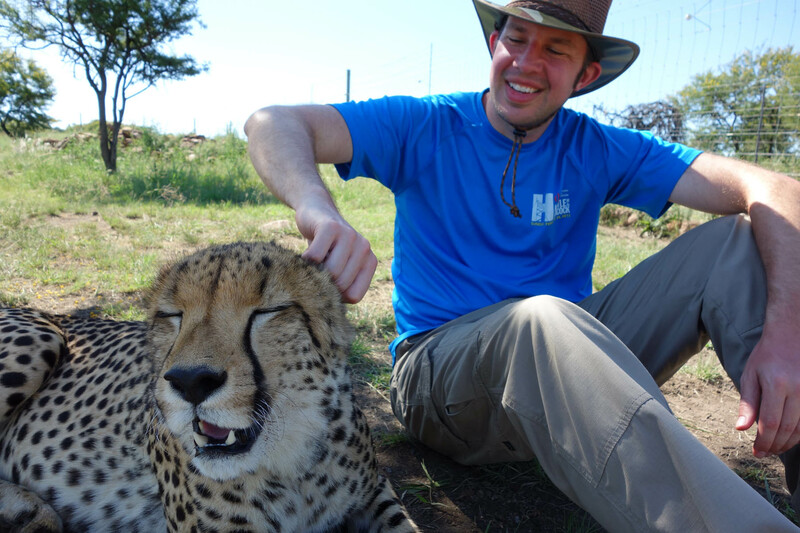 You can volunteer with cheetahs at a breeding and conservation project ran by some friends I visited and did a 2 week program with. 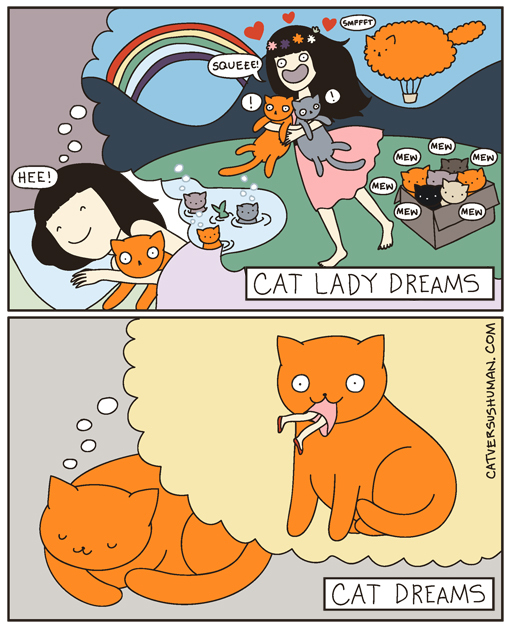 I like cats. I even have a cat tag on my site. For da kitties. So one of the things I did when assembling my bucket list was look for cool and interesting cats and places to go meet. I have since learned it’s not always the safest/most ethical thing to do when supporting these places and will describe my research and observations below. The petting industry is primarily around lions and tigers. Although there are some cheetahs in there too. Other big cats don’t typically seem a part of it (cougars, leopards, etc.) – they probably don’t totally sit there but to be on the safe side let’s just pretend they are lions. First I’ll comment from a safety perspective. Are these cats going to eat you? Let us assume the above animals are all hand raised, so they are not wild / caught wild and have no fear of humans and have grown up around them. Lion and tiger cubs may roughhouse and scratch you up but are safe to be around. Cheetahs too who are much smaller cats and less rough. You’re ok from a safety perspective here. What about the adults? No place is going to let you near an adult lion. Lions and tigers are big, and out of aggression or sheer play can kill you. The lions in particular are the least predictable, which is why as far as I know there’s no place you can encounter one directly. Kevin Richardson has a stronger bond with any lion that you ever will, but they could also kill him some day. As of this writing there was a very recent attack at the Lion Park in Johannesburg, South Africa where a lioness killed a tourist in a vehicle who was ignoring signs to keep windows rolled up at all times. Others have been attacked as well who ignored this rule. Note this has happened with hand raised lions and with staff as well. Adult lions are no joke. Look at this trainer and reporter. VICE recently did an episode on The Illegal Big Cats (and Big Narcissists) of Instagram – it’s a good episode worth watching. The reporter is clearly not in a good situation with the lioness. Tigers have more than double the bite strength of a lion and are the largest of the big cats. They are more responsible for human deaths than any other big cat. Their personality seems a bit more tempered and there are multiple places that they can be pet however. Are they safe? There’s a lot of talk about them being drugged to be docile, which seems to be quite true in many places. Supposedly others do not do this; I did not see anything like that at the Tiger Kingdom I visited in Chiang Mai. It’s not that hard to find stories of a tourist being mauled though, here is an Australian guy mauled by a tiger and English student who both had an experience. What about adult cheetahs? They hand raise and act similar to dogs and are the safest of this bunch by a vast amount. I was however able to find one mauling – in any case the risk and severity of an adult cheetah encounter is vastly less than the big cats mentioned above. https://www.youtube.com/watch?v=3xB8VXORDJI. I myself never felt unsafe around the tigers nor cheetahs that I have met. Ethically I have a hard time supporting most of these facilities including the Tiger Kingdom I visited before. There are a lot of objections to be had here. Quality Of Life – How much space do the animals have to roam free and be themselves? It appears to be quite little in many locations. My Tiger Kingdom videos are raw, long, uncut (and thus a bit boring) footage, but you get to see the whole experience. These guys don’t have a ton of space, and neither do many animals at these facilities. Adulthood – What happens to the animals as they age? Particularly for cub petting industries – cute safe cubs that eat a bit turn into large less predictable cats that eat a ton. What happens to them? There is a big tiger trade for Eastern “medicine” (tiger bone wine for example, among other things) – are the tigers farmed/sold off for that? Lion cubs get fed into the canned hunting industry as well – how much skill does it take to track and kill a large cat who spent its life getting tummy rubs? This is not real hunting. I was originally signed up to volunteer at the Lion Park, supposedly the one “good” place that did not feed lions into canned hunting, yet their animals still ended up there. Purpose – What is the purpose of the center? Education? Conservation? Profit? Now, I am a libertarian (lower case l) and have no problem with profit seeking. Anyone who understands how a non-profit actually works also understands they need to make money and pay to keep talent as well – revenue is certainly being sought. As long as quality of life and adulthood issues are valid I wouldn’t have a problem visiting somewhere that was run more directly for revenue; I would categorize the De Wildt Cheetah and Wildlife Centre under this area. I don’t have an ethical problem with it, although I also think more could be done and the place I volunteered at is much better, which I will comment further on in a future article. I won’t claim to have not visited or enjoyed my time at the Tiger Kingdom although can’t say knowing what I know now that I would recommend anyone to go visit it. I don’t know if there is anything shady going on there or not, but there certainly is other places. I can’t ethically support a place any longer that is simply raising the cats for profit with a poor quality of life and questionable end. Truly I think the only way for any member of the public to safely and ethically encounter a lion or tiger is if they are cubs and if you just happen to be in a place that has them for some reason, in particular this seems to be a possibility (but not a guarantee) of an encounter in doing something like a volunteer program, such as the Living With Big Cats ones available with VolunteerSA. They may have something like an unexpected pregnancy, or cubs brought to them for care, etc. Cheetahs are much easier and safer to encounter. I have been to two breeding centers which I will write more on later. I can wholeheartedly recommend a visit to Kwa Cheetah in Ladysmith, South Africa. It is a destination worth traveling the globe for on its own. I will elaborate more on it and De Wildt in a future article. It’s also probably a given that any roadside/traveling cat exhibit, like one that goes around with county fairs, or those that occasionally appear in malls, is terrible on all accounts. To be clear I don’t think it is ethical to do any pay to pet/pose with a lion/tiger cub program. The only way I could support ethically encountering these cats to touch them would be in a volunteer program. You can see (but not touch) them up close at some rescue facilities/sanctuaries such as Big Cat Rescue down in Tampa, FL. Local-ish to Chicagoland where I am from – I have yet to visit – is the Valley of The Kings in Sharon, WI. Tiger Kingdom in Thailand…way cool!